Thriveni Earthmovers commenced its journey in the field of environment in Balda Block Iron Mines, M/s. 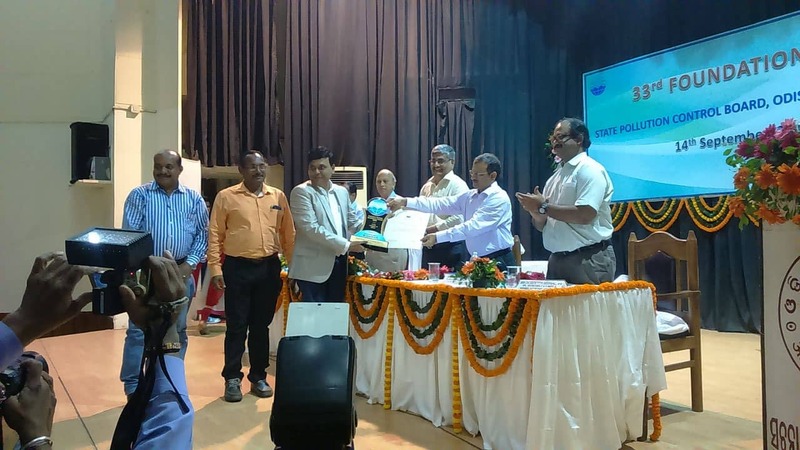 Serajuddin & Co. in 2010 and with six years of extensive experience in the field of Environment, Now Balda Block Iron Mines of M/s, Serajuddin & Co. has been honored with Pollution Control Excellence Award by SPC Board, Odisha. Thriveni has established and implemented social Corporate Environmental and Occupational Health & Safety Management Systems w.r.t. ISO 14001:2008 & BS OHSAS 18001: 2007 Standards for all its activities and as well as for the M/s. Serajuddin & Co.
Thriveni Introduced latest eco-friendly technologies and machineries in mining operations including the deployment of the 100 tonner Dumpers & 25 tonner loader to minimize the traffic and fossil fuel consumption with harmonization of high capacity Screening and Crushing plant with the state of art technology by installing dust extraction systems. Thriveni has undertook various initiatives for the conservation of natural resource. It includes Encouraging solar power system, adoption of the Rainwater harvesting system in & around the surroundings to recharge the ground water, developed and widened road for transportation,construction of ring roads for a better approach and easy dispatch, stabilized dumps with adoption of vertiver technology, coir matting, planation along with retaining wall, garland drain and settling ponds. Created a dust free environment in the surroundings with establishment of the Truck Tyre Wash Unit at the exit of the Mines.